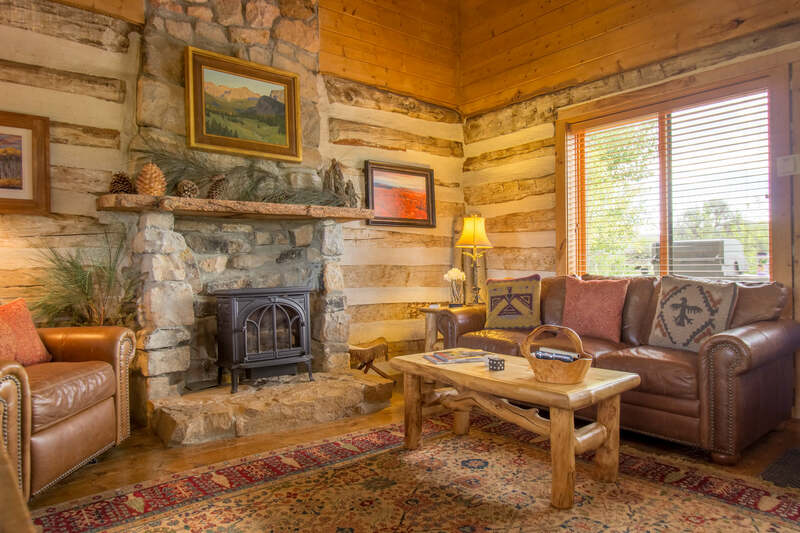 Originally constructed in the 1860’s, The Log Cabin is uniquely built and decorated. 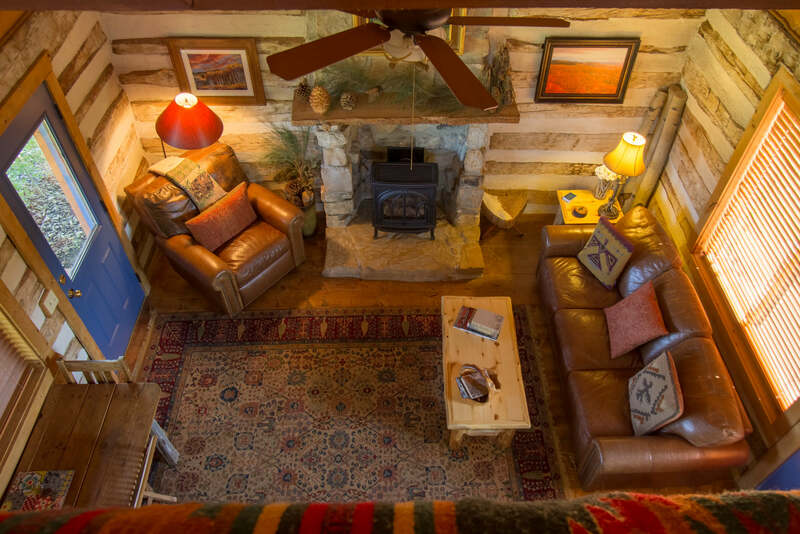 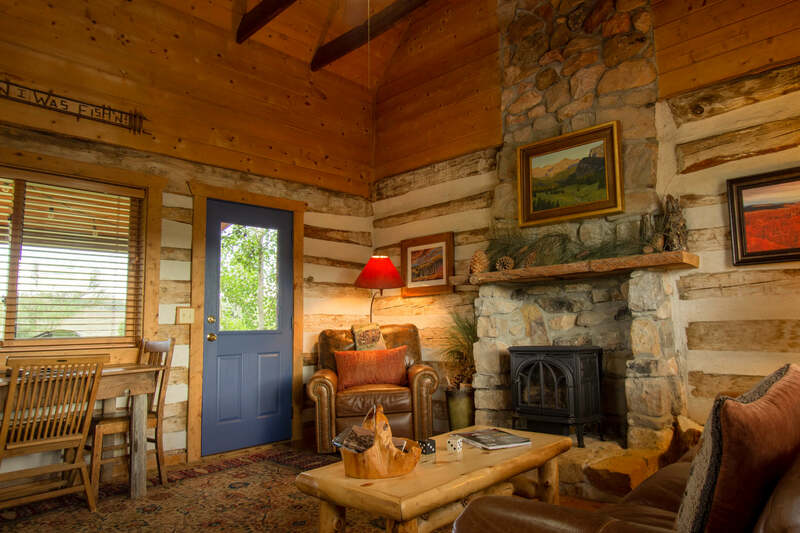 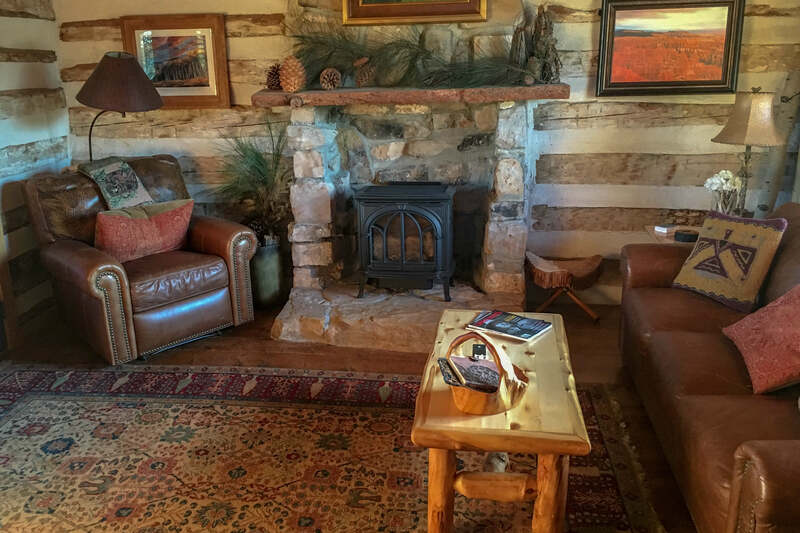 Cozy up in the living room next to the gas log fireplace. 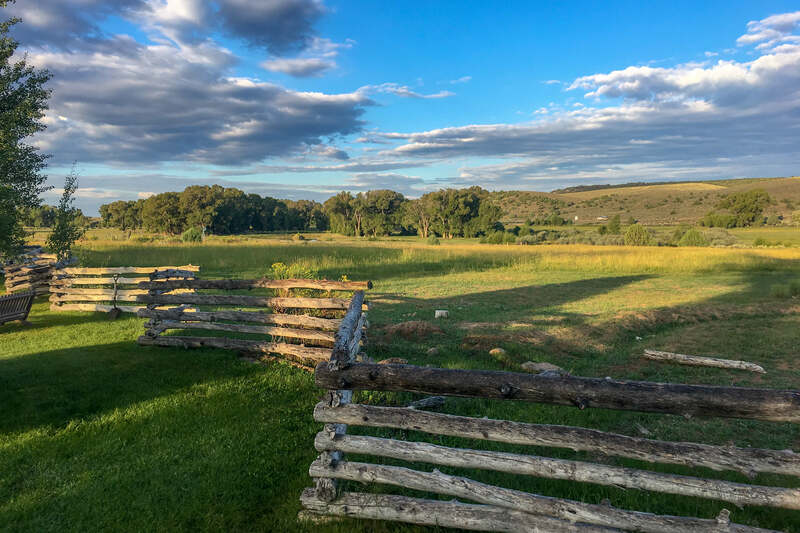 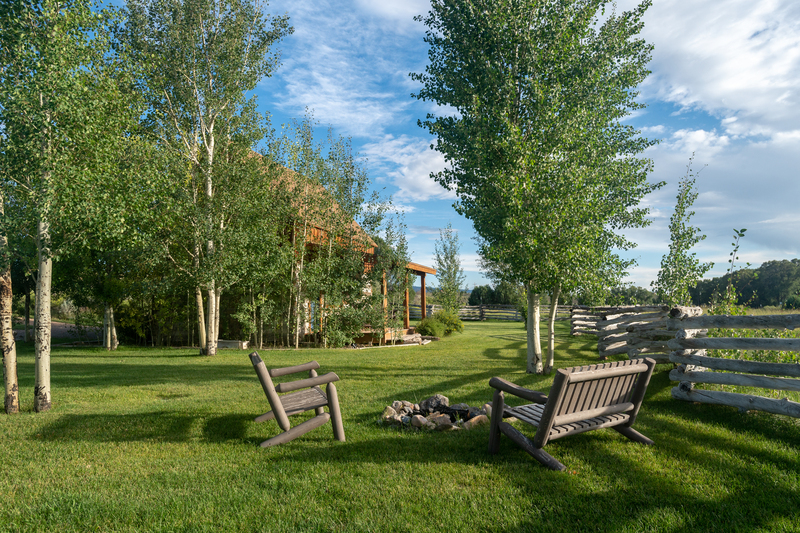 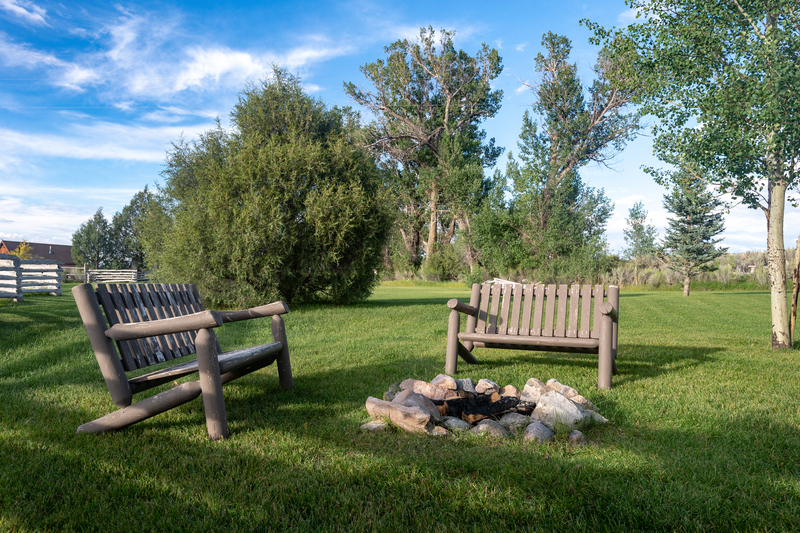 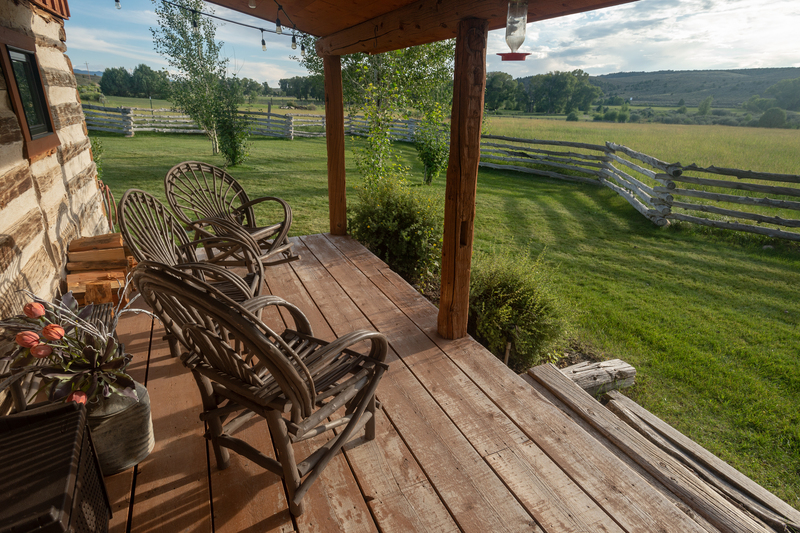 Sit on the front porch and take in the vastness of the meadow before you. 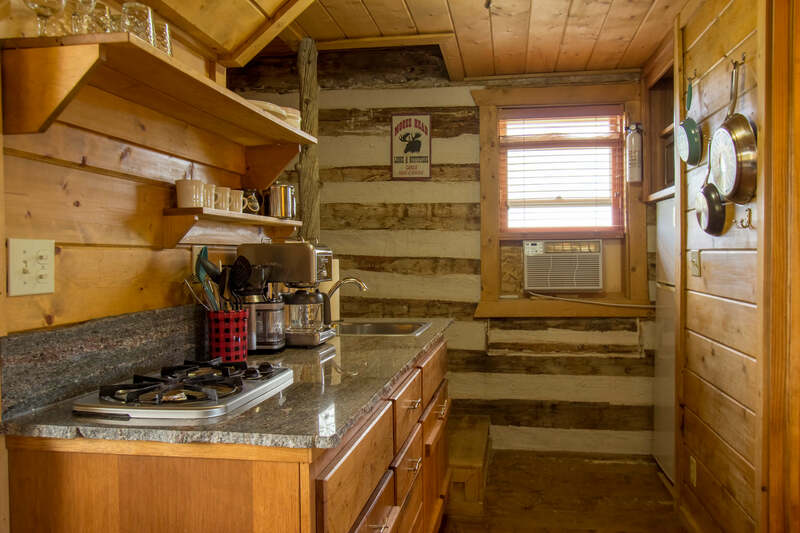 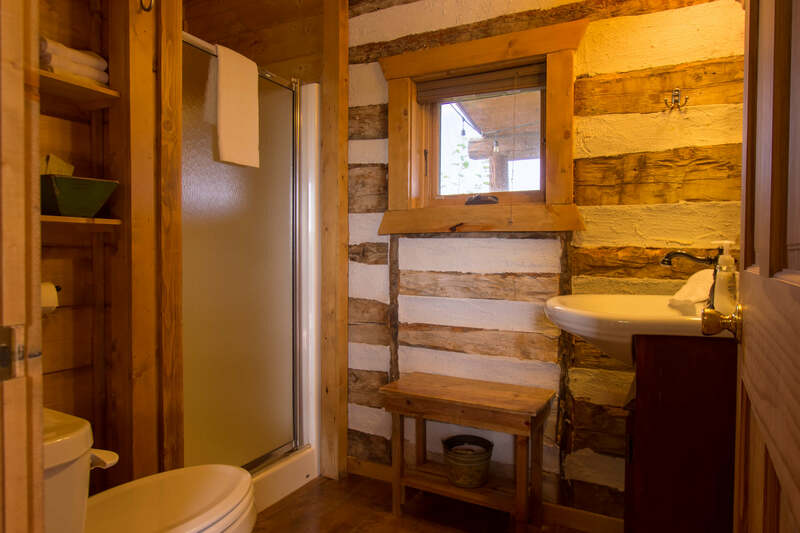 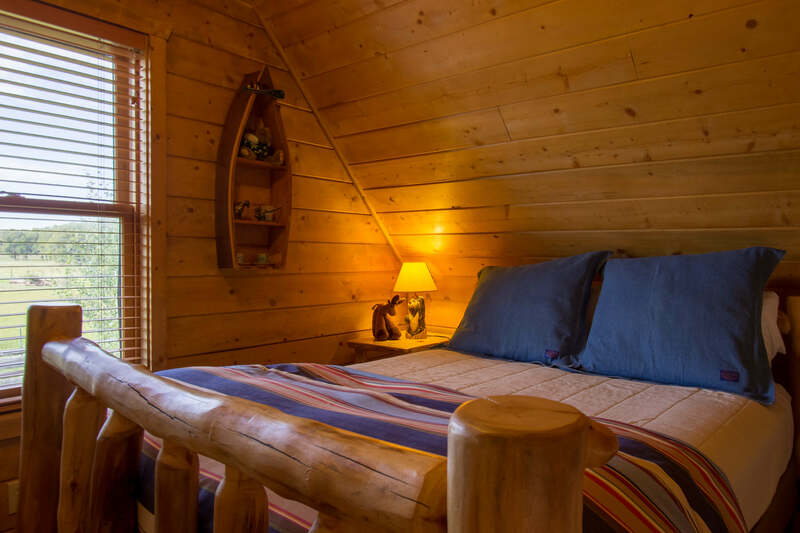 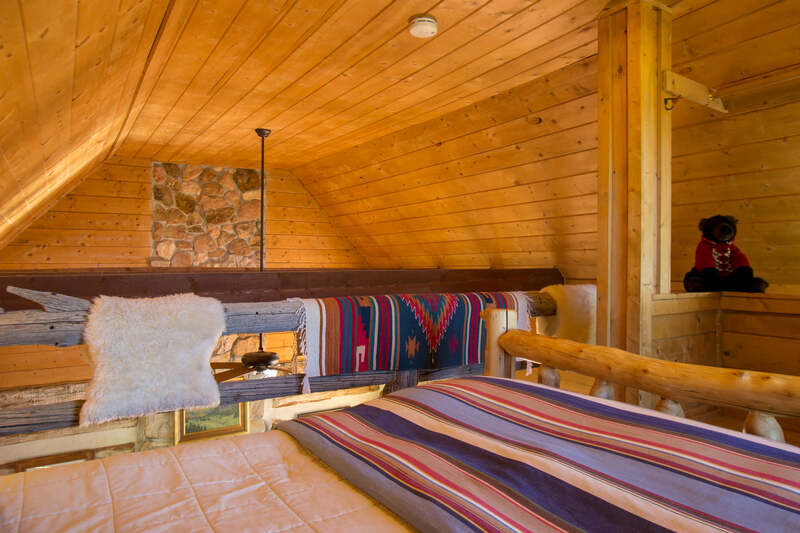 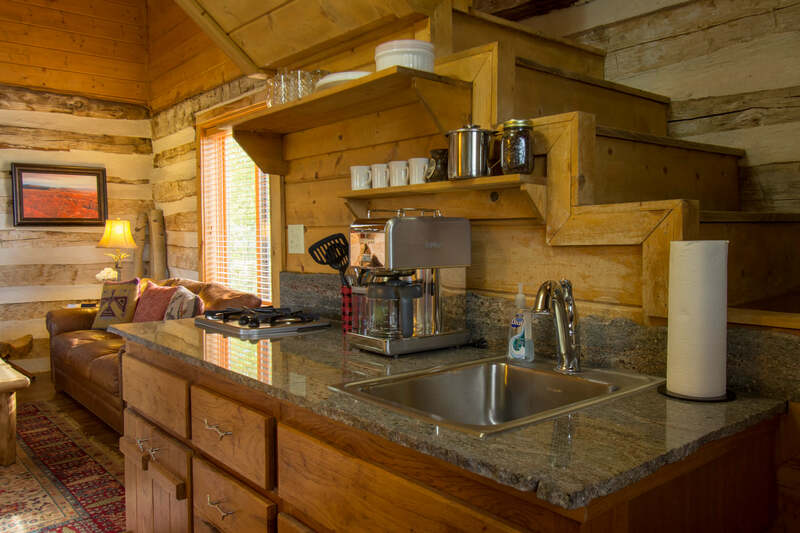 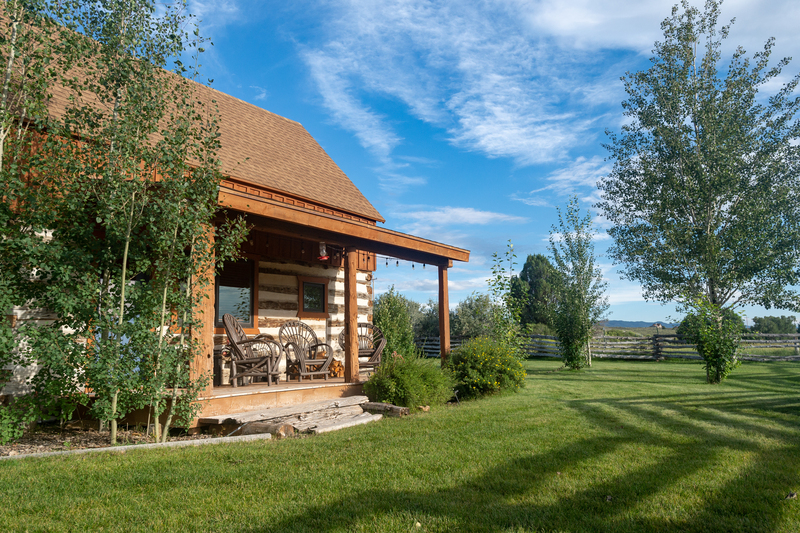 The Log Cabin consists of a loft bedroom with a queen bed overlooking the living room and a kitchen with a stove top, refrigerator, and microwave.